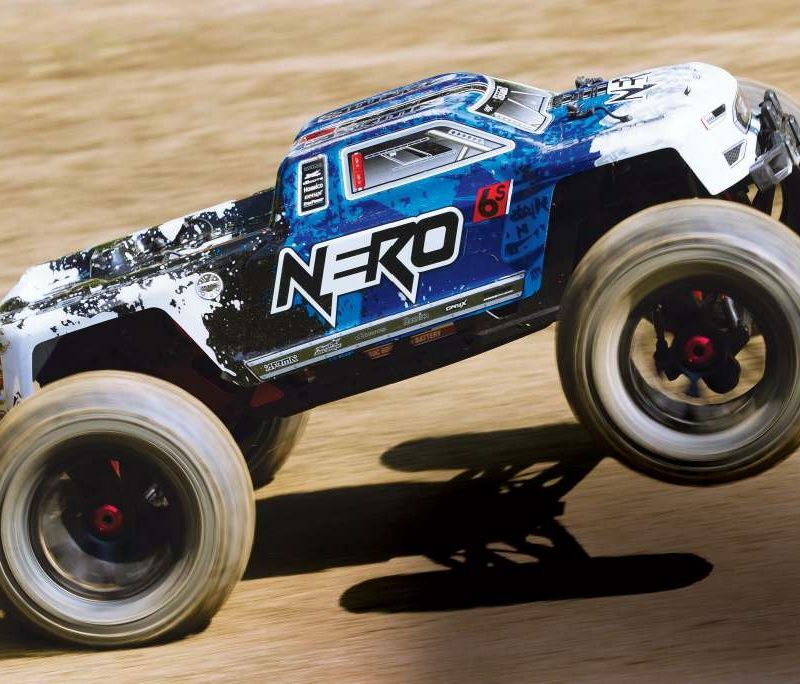 The four wheel drive short course game is still strong and there’s a new player hitting the dirt. 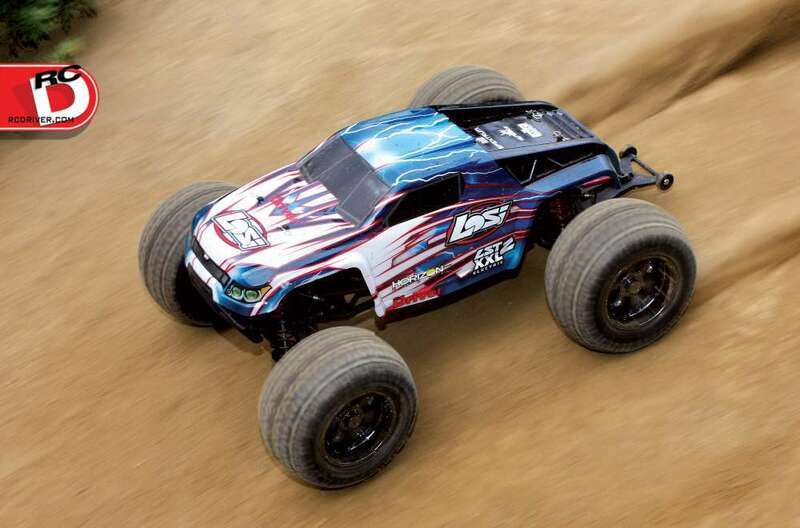 Helion RC has introduced a new level of vehicle to their line of cars, the Helion Select brand offers premium specs and performance in ready to run form. 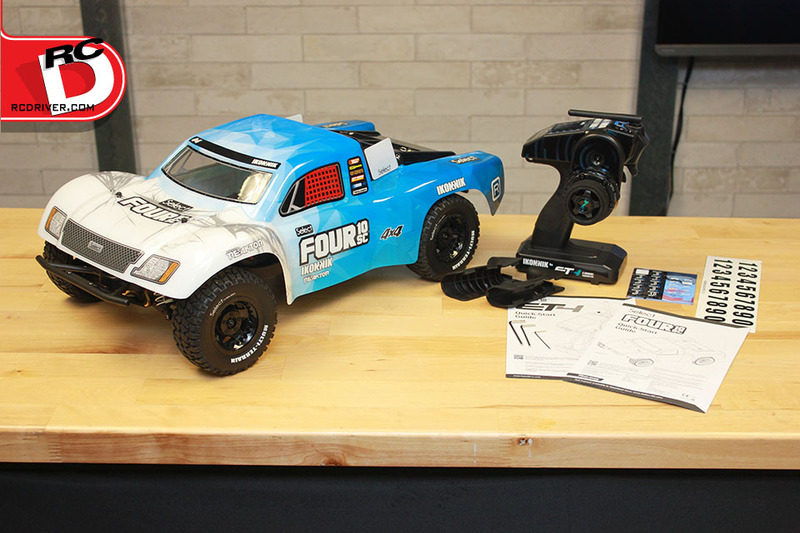 The first Select vehicle introduced is the FOUR 10SC, a 1/10 electric RTR short course truck. 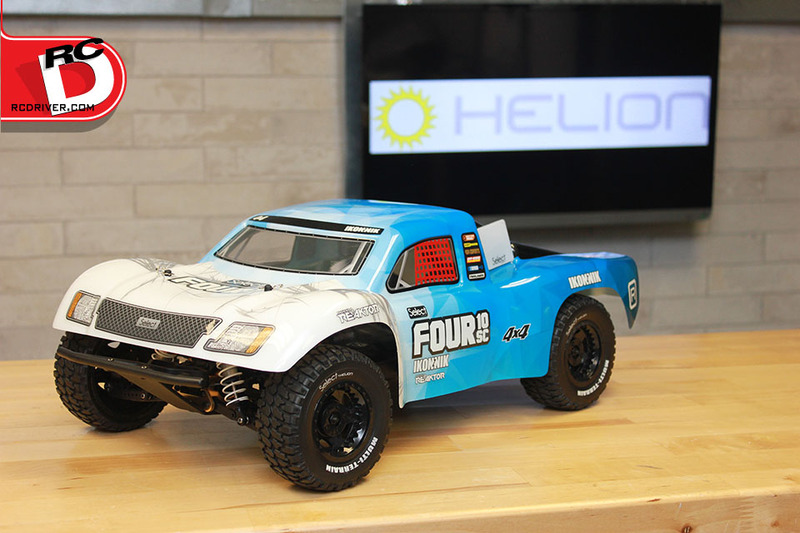 I know what you are thinking, Helion already has the Dominus 10SC V2, which is a truck in the same class, what’s the deal with adding a new truck? 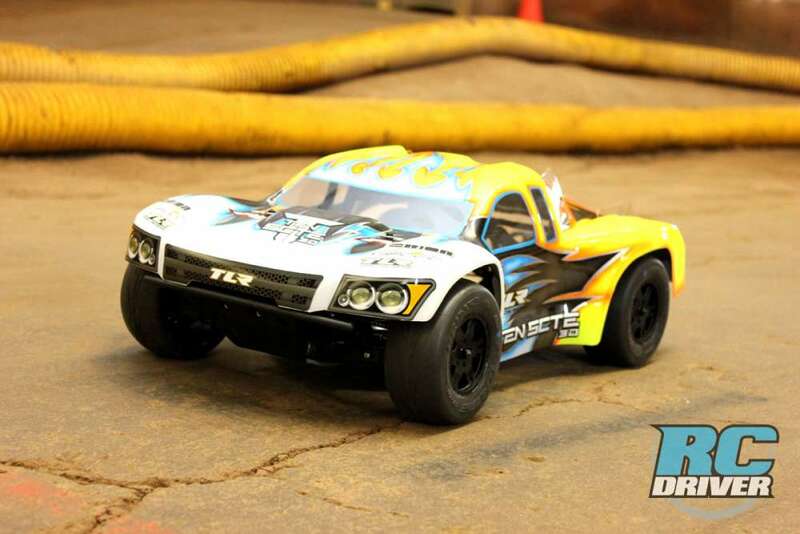 The Select brand means that the FOUR 10SC truck is next level in comparison to the Dominus. 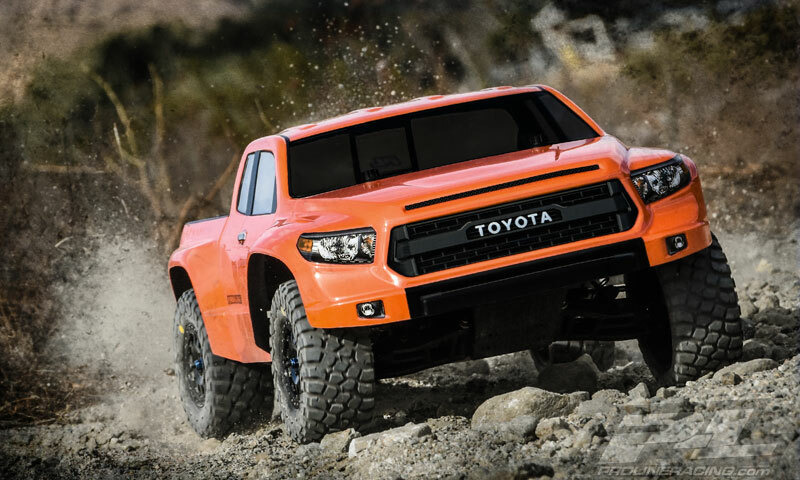 The new truck has better electronics, better components and better performance for those drivers looking who want to spend a little more cash to get a RTR vehicle with a different attitude. 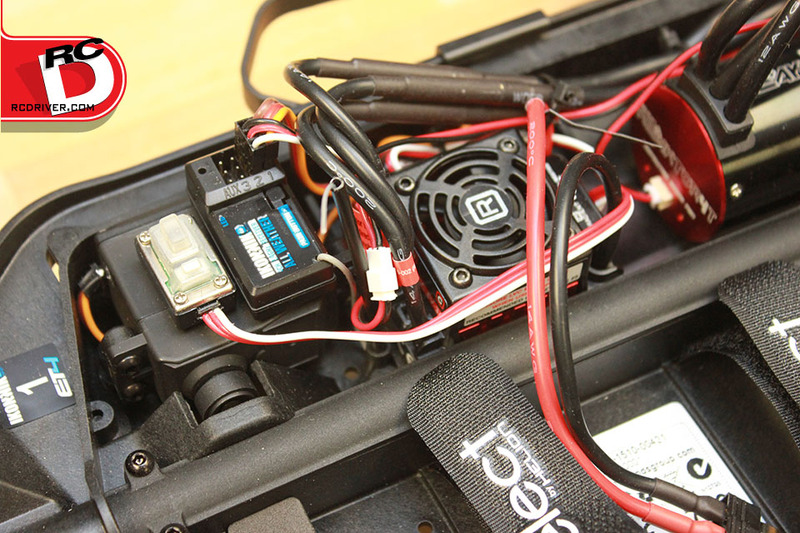 So as you can see, the Helion Select FOUR 10SC has hit the RC Driver reveal workbench (after getting hit hard by the shipping carrier) so we’ll give it the standard unboxing treatment to show you what’s inside. 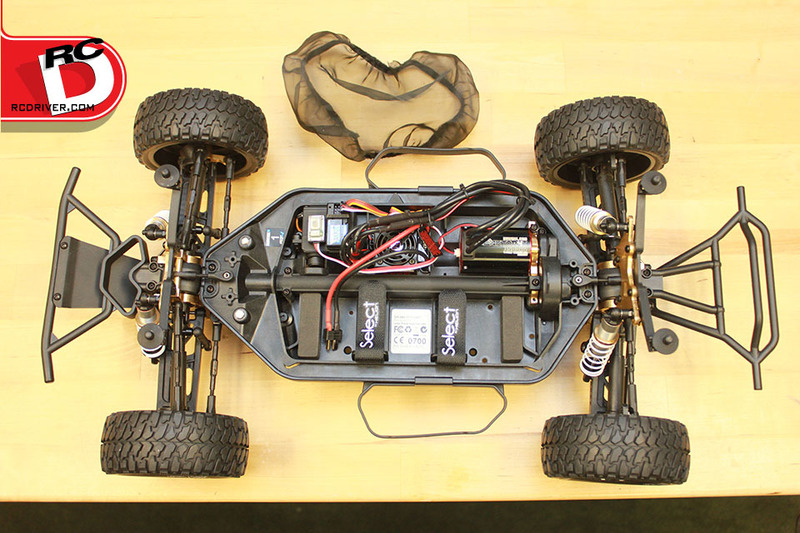 What’s in the box: Assembled vehicle with motor and electronics installed, 2-channel 2.4gHz radio, painted body, allen wrenches and manual. 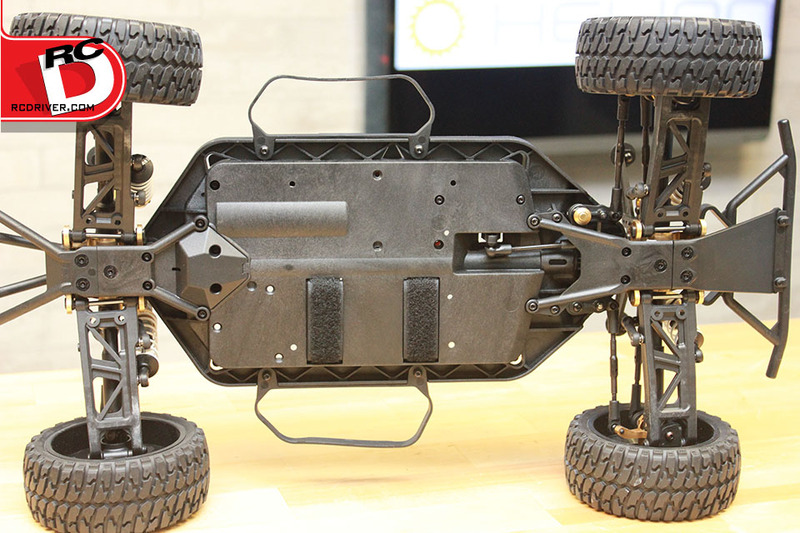 – The FOUR 10SC has what appears to be a mid-level chassis although Helion calls it a New High-Ground Clearance Chassis. 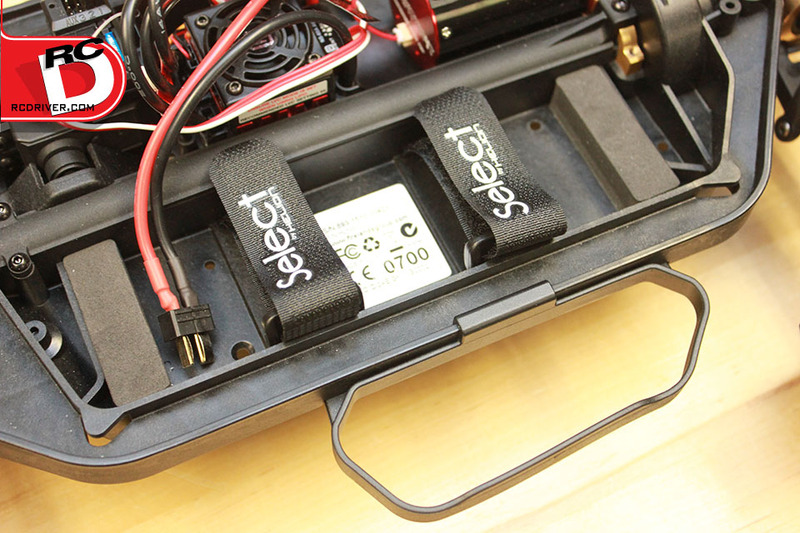 We say mid because its not an LCG chassis and doesn’t appear as high as others on the market. 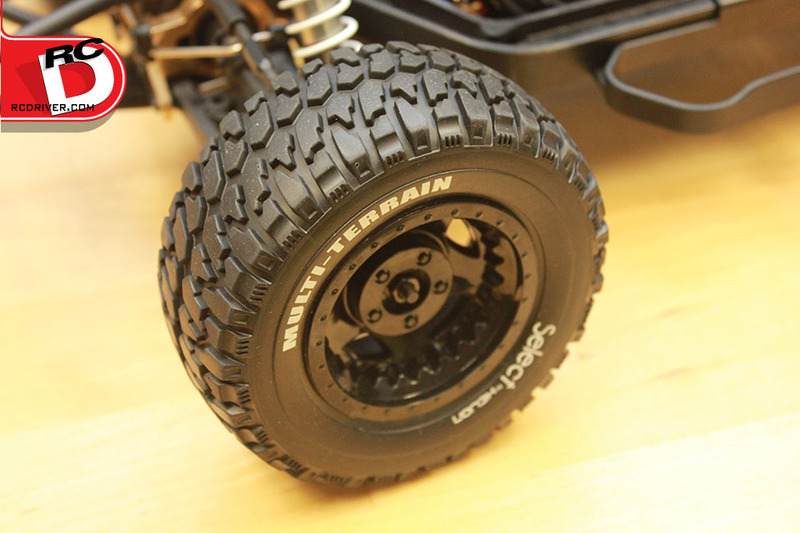 Its seems like a great overall combination of both worlds, good ground clearance but still low for better stability. 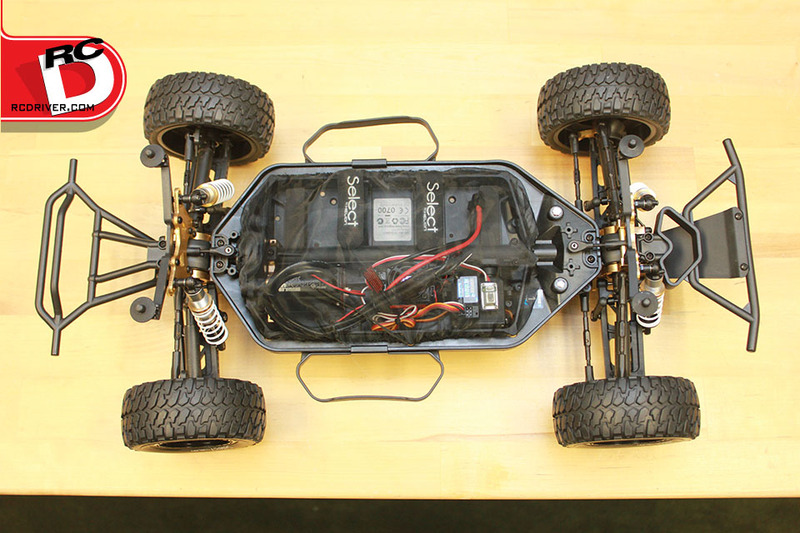 The plastic is and design of the chassis combine to make a solid platform for the truck. 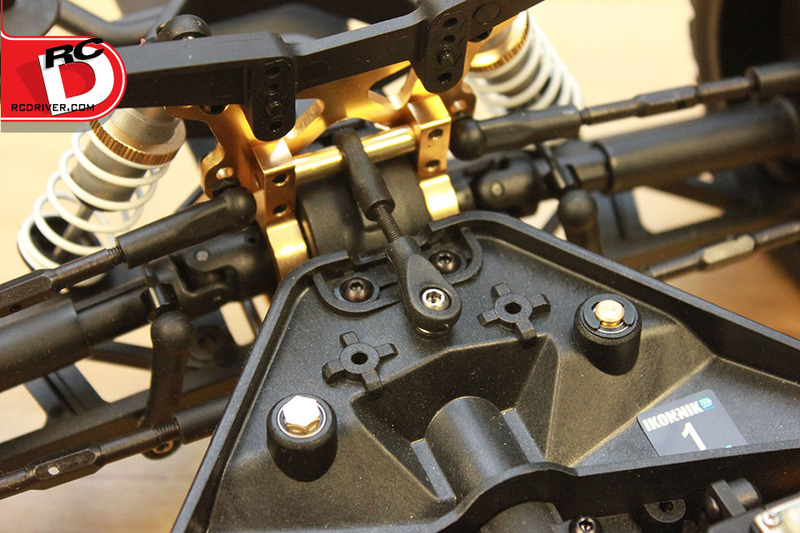 – Lots of aluminum goodies can be found on the FOUR, like thick shock towers, bulkheads, steering knuckles, 12mm wheel hexes and steering posts. 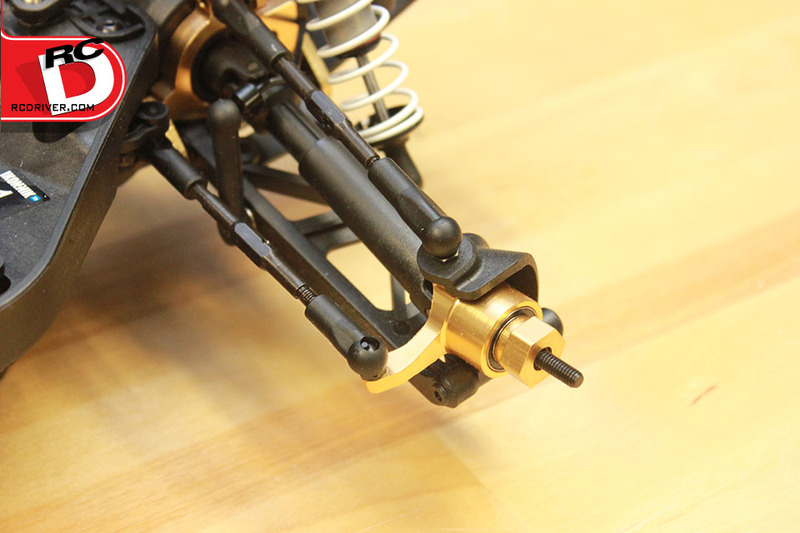 All of these parts are well machined and anodized a bright gold for a classy look. 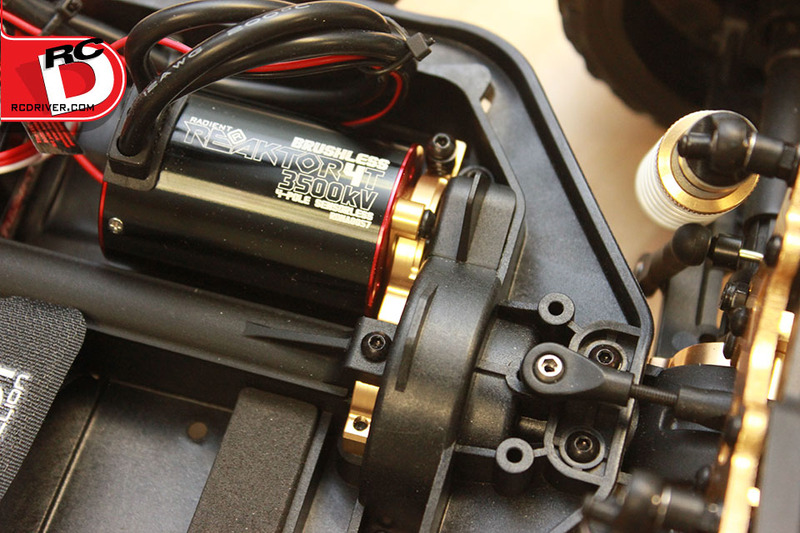 – The driveline features metal gear planetary diffs and metal ring and pinion to handle the power of the brushless system on the suggested 3S power pack. 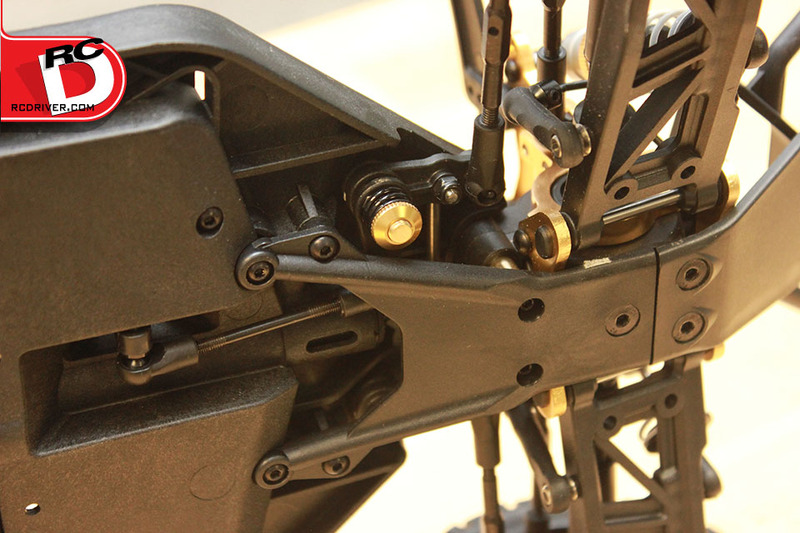 The truck gets a center diff with a hefty center driveshaft to send power to the front and rear. 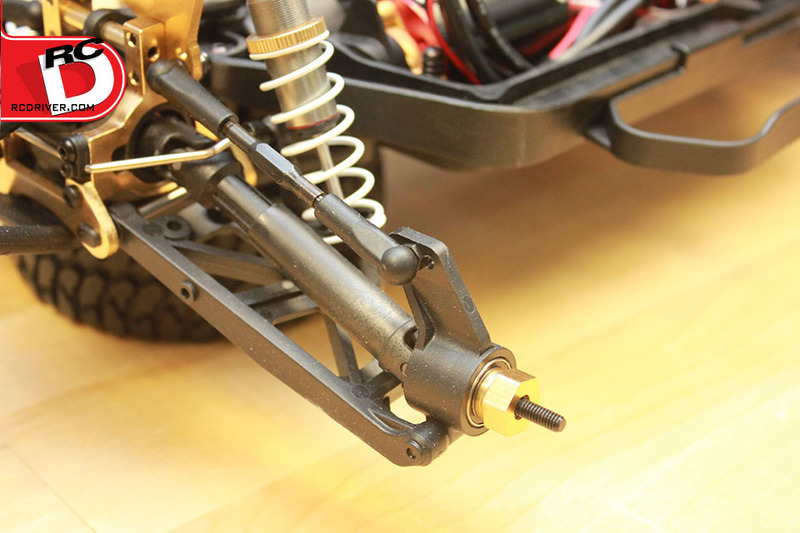 Sliding composite universal driveshafts are used to drive the wheels. 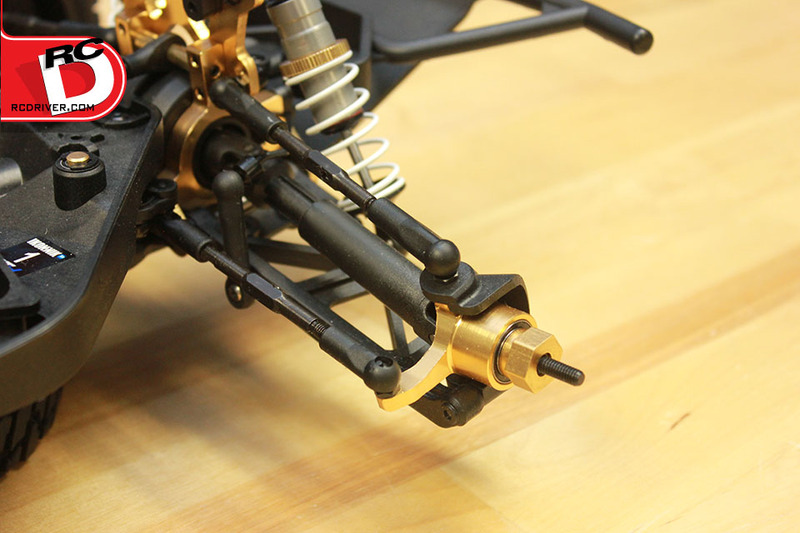 – Good stuff can be found in the suspension too. 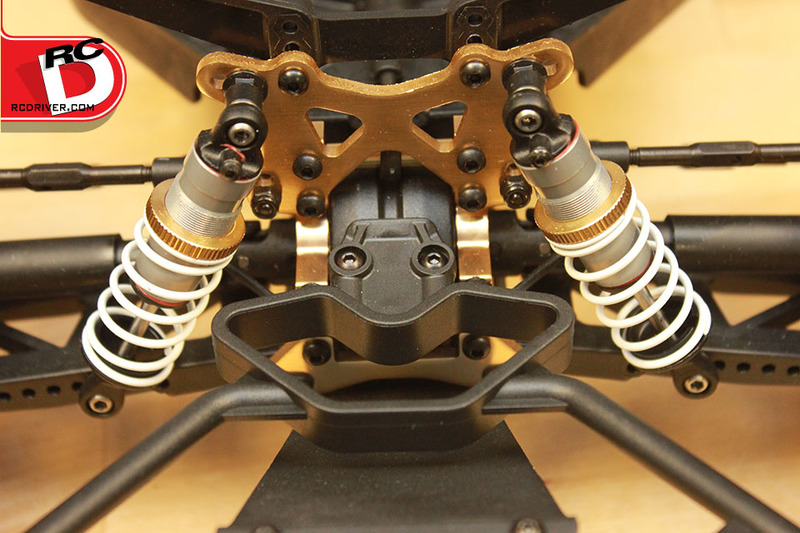 Plush aluminum shocks damp firm suspension arms with adjustable upper links and swaybars are also included. 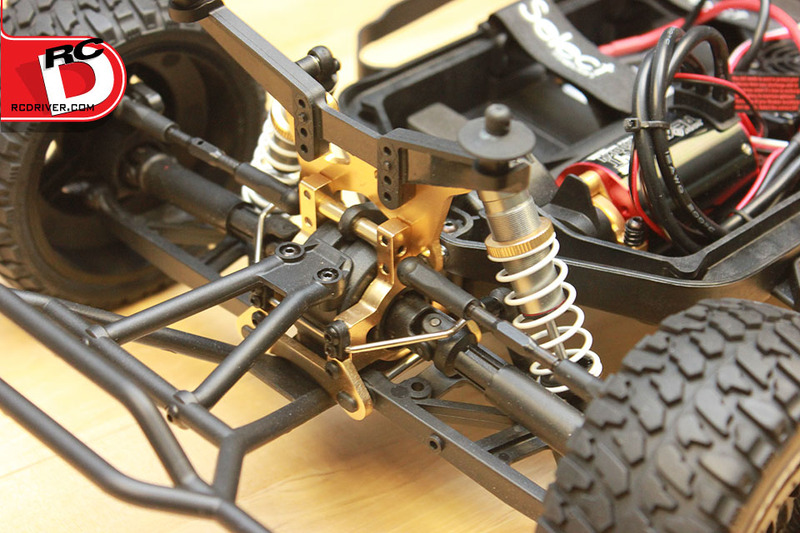 Impressive for and RTR machine. 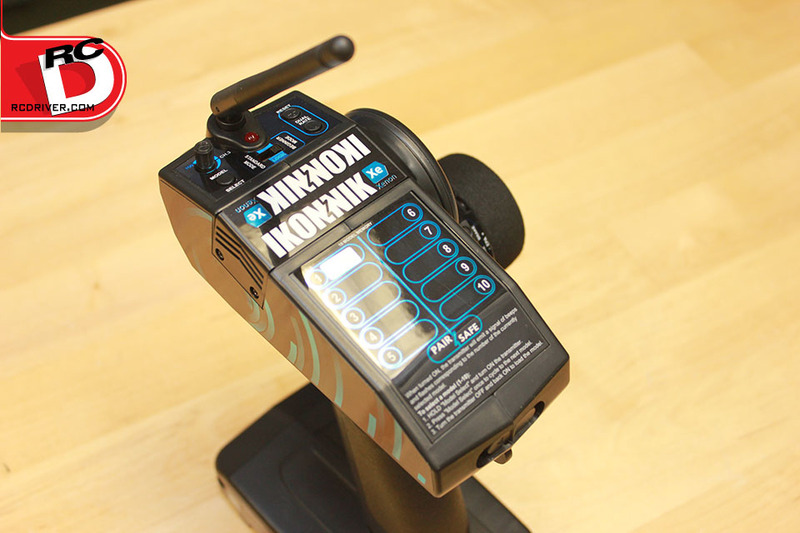 – A new radio system has hit the market along with this truck, the IKONNIK Xenon ET4 radio is 2.4GHz and loaded with features not typically found in RTR cars. 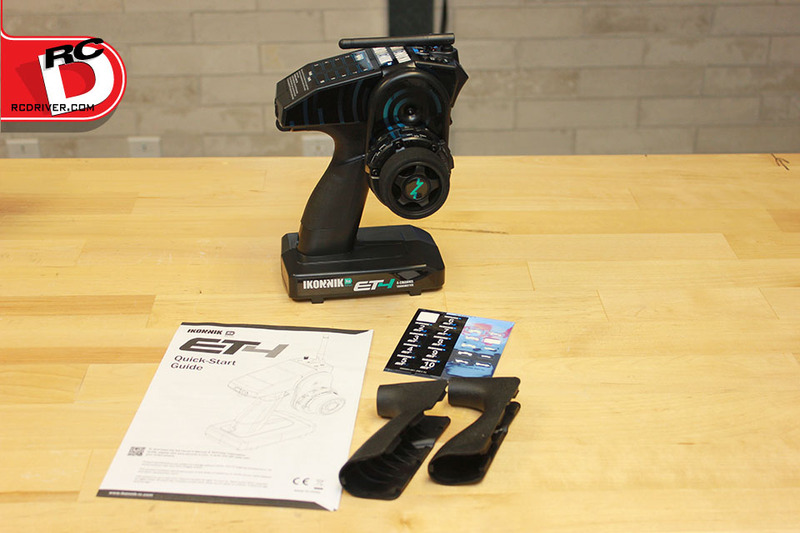 It has a beginner mode, ten model memory, has adjustable grips and can be used for both paw types. 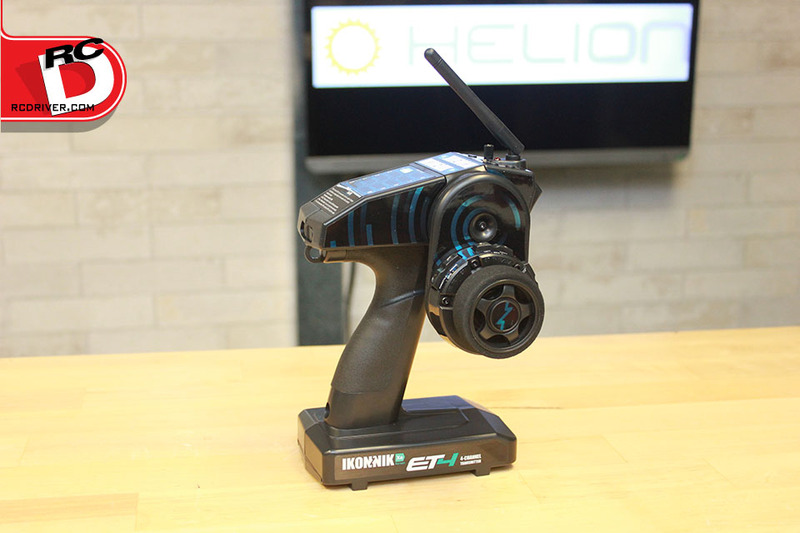 It has a cool look to it and doesn’t feel like a beginner radio. 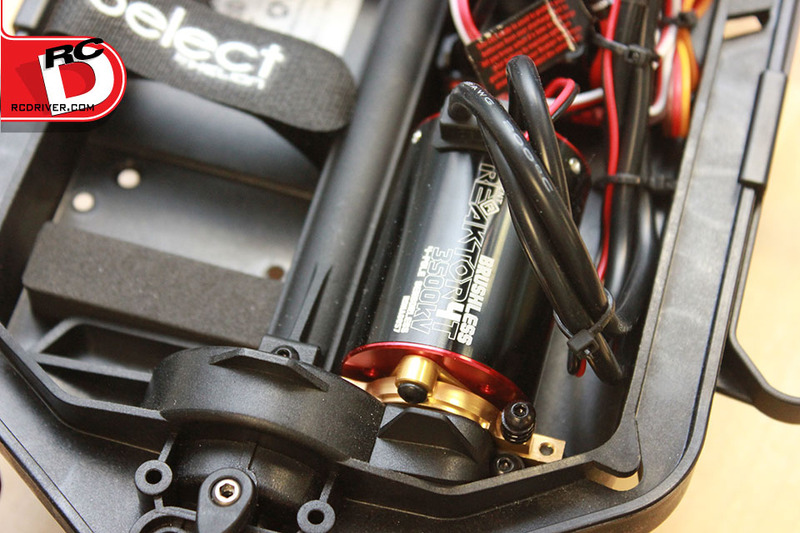 Helion also stuffs their Radient Reaktor brushless system into the truck which can hit speeds of over 35mph on 3S. 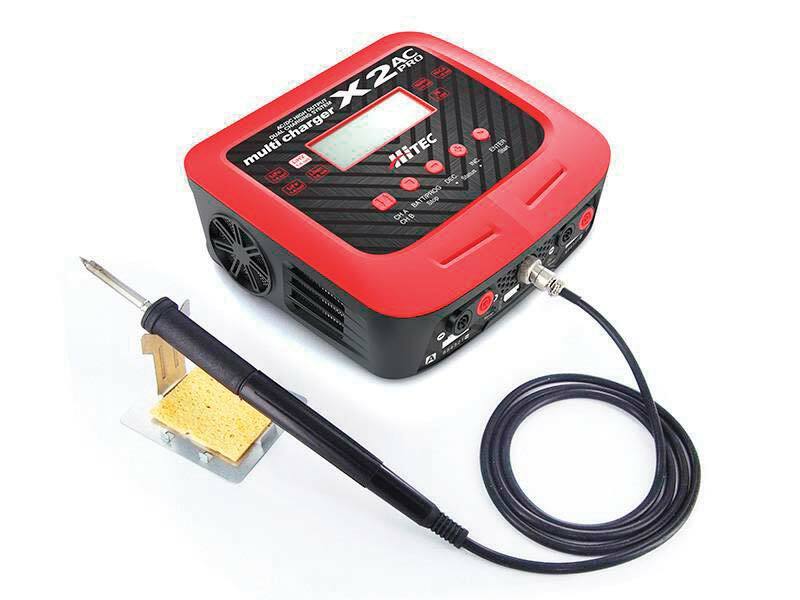 The electronics are all weather for those who like to go splashing in the puddles. 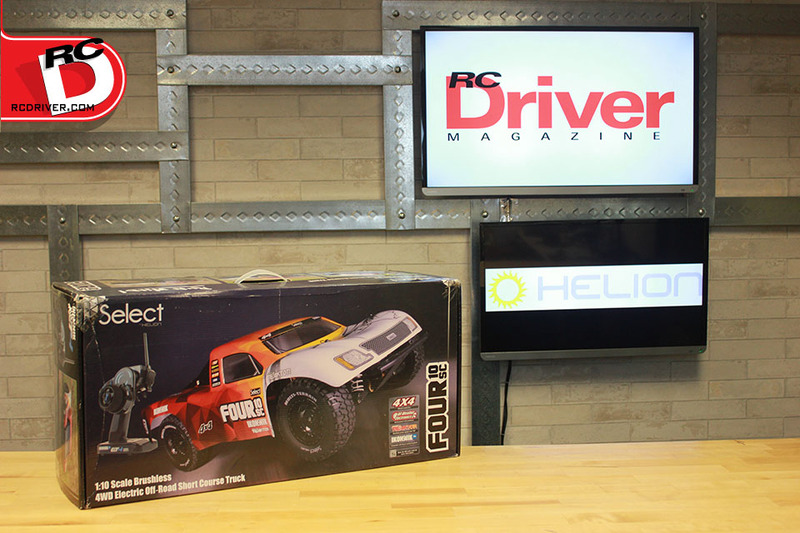 Helions FOUR 10SC has quite a few more features you’ll want to see, but you’ll need to check out our full review in the March 2016 of RC Driver Magazine. 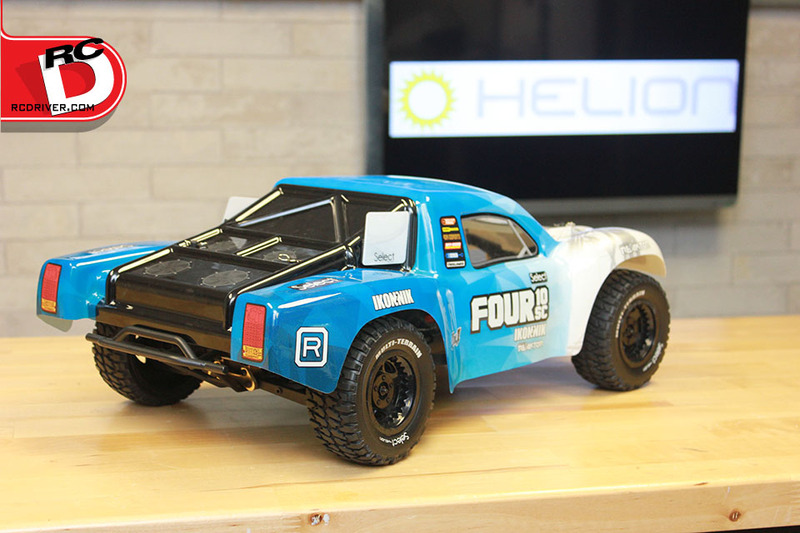 Helion RC is a company on the move and if the FOUR 10SC is an indicator of things to come, driver’s will be happy wheeling this machines for bashing with buddies on and off of the track.